Tour begins and ends in Las Vegas, NV. Please feel free to call or email us if you have any questions or would like to book. 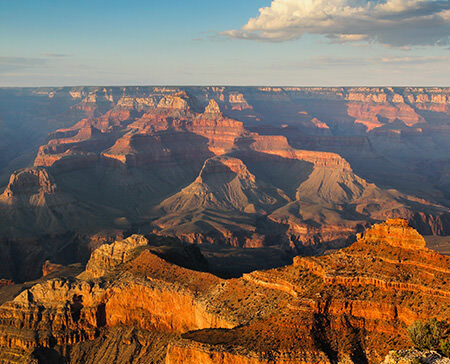 Our short 3 day Canyons Tour is perfect for a long weekend getaway. 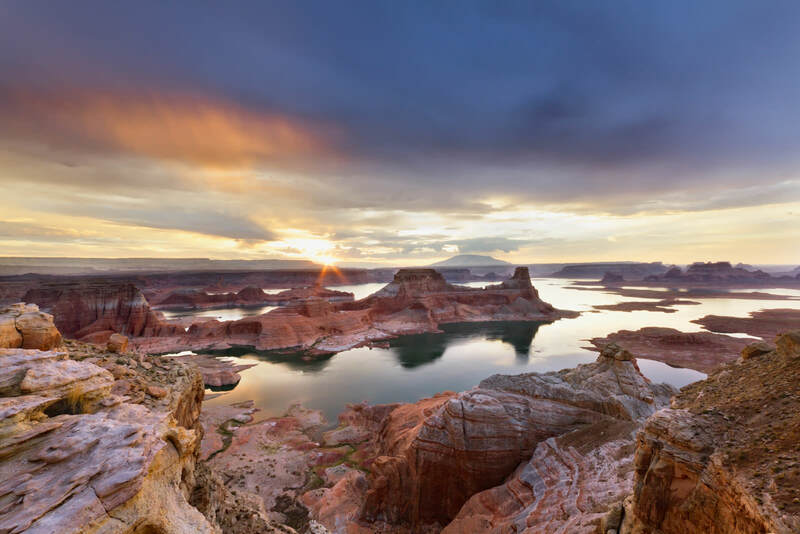 Beginning and ending in Las vegas you will visit three of the most popular canyons in Northern Arizona and Southern Utah. Marvel at the immensity of the Grand Canyon, be awed by the naturally carved stone of Antelope Canyon and be inspired by the towering cliffs of Zion Canyon. 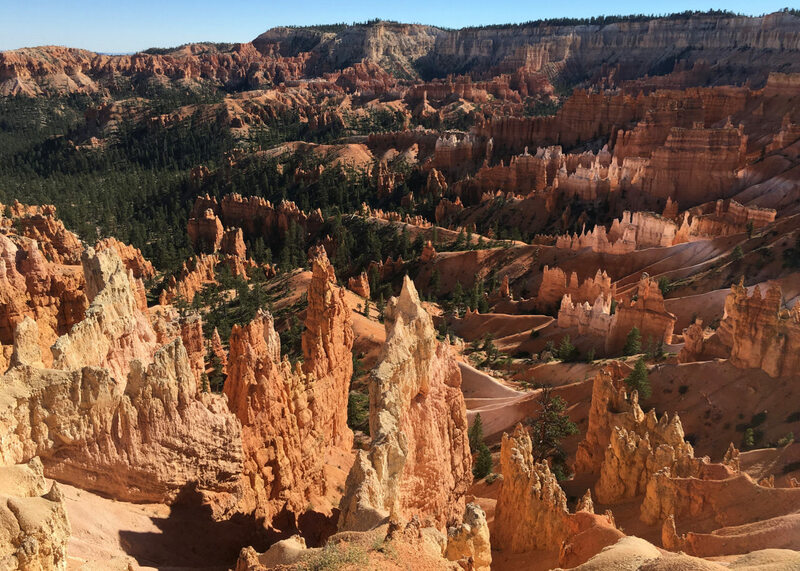 Our knowledgeable guides will share with you the geology and history of the parks and other areas you travel through as well as share anecdotes of their own travels in these beautiful canyons. This All-inclusive tour is the perfect tour to compliment your visit to Las Vegas. Join our small group tour of no more than 10 guests and experience these canyons the way they were meant to be seen. We depart Las Vegas at 8:00 am from the Tuscany Suites Hotel and Casino and travel to the South Rim of the Grand Canyon. Once we arrive at the Grand Canyon we will walk along the rim, visit the famous Kolb Studio, El Tovar, and other locations around Grand Canyon Village. We stay in nearby town of Tusayan. After Breakfast we leave Tusayan and Travel back into the park. As we travel East and then North we will make several photo stops and view the canyon from the Desert View Watchtower. We will then continue on to Page, Arizona. Along the way we will make a stop at the historic Cameron Trading Post, which has been in operation since 1916. Once the main hub of trade for the area it now serves as a stop for those traveling to and from the Grand Canyon. We will arrive in Page for Lunch and then join a Navajo guided tour of world famous Antelope Canyon. This unique slot canyon, formed from rushing water, offers some of the most breathtaking rock formations that can be seen in the Southwest. This canyon will not disappoint! After you return from Antelope Canyon we make our way out to Horseshoe Bend for a short 1.5-mile Round trip hike to Horseshoe Bend. 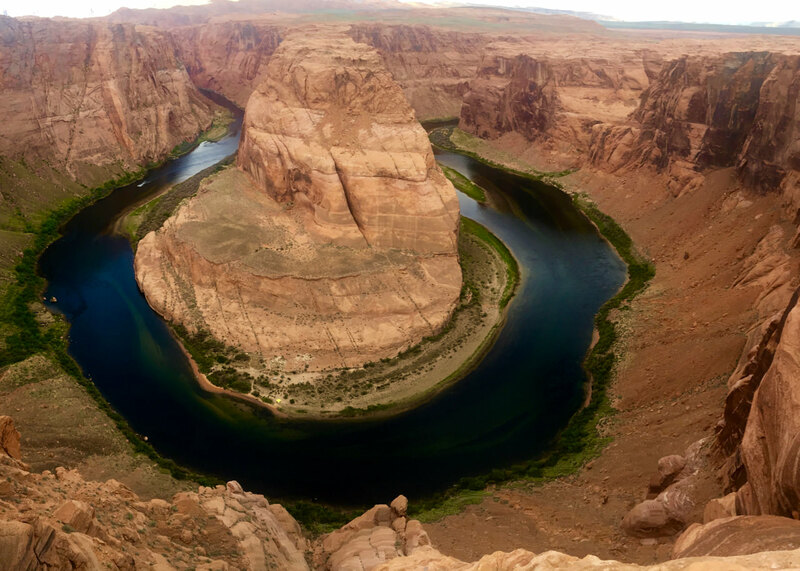 This is one of the iconic viewpoints of the Colorado River. After breakfast in Page we will make our way to the East Entrance of Zion National Park. The parks in Utah are beautiful in the winter and it is a favorite time for photographers to come and capture the beauty of Zion. We will make a stop at checkerboard mesa and travel through the Zion/Mt Carmel tunnel as we descend to the lower park. Once we enter the lower canyon we will make a visit to Zion canyon lodge, and other points of interest. You will have ample opportunity to take photos so charge your cameras and phones! Arrival between 5 and 6 pm in Las Vegas.